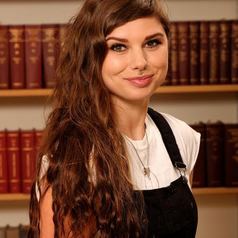 Katie's doctorate ‘Realising respect for the asylum seeker: Balancing and conceptualising rights, immigration control and the welfare state’ was completed at Northumbria University in 2015. She has worked on two external research projects for the Scottish Human Rights Commission and the Equality and Human Rights Commission. Both projects centred on the State's compliance with human rights obligations with particular focus on welfare reform and the immigration detention of children. Katie has presented her research at national and international conferences and has published work in a number of areas, including: nationalism and the development of social policy; the asylum support system; the legal implications of immigration raids; and labour within immigration detention.